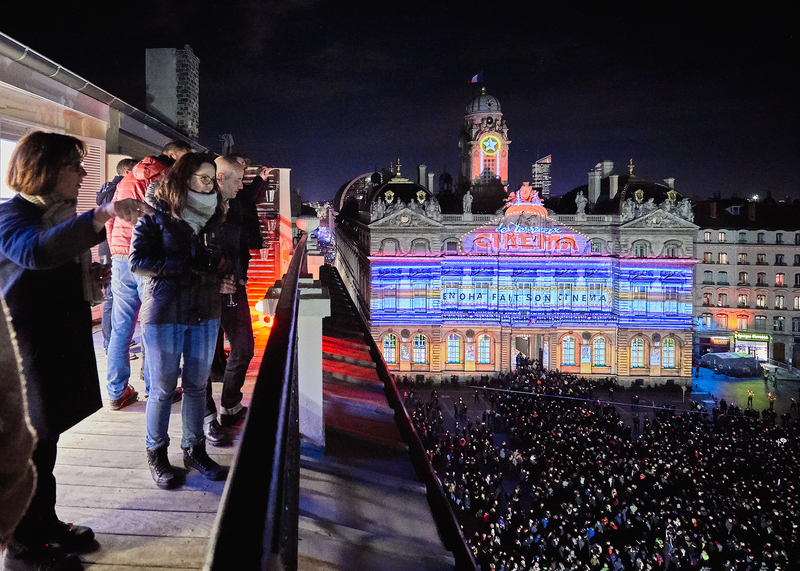 Two years after the opening of the Lyon showroom, iGuzzini supports the iconic Festival of Lights event. Four nights, from the 7th to the 10th of December, during which technological innovation combines with the popular tradition of transforming the city through creative and unexpected light installations. The protagonists of the lighting scenes are the hidden corners as well as the more well-known areas of the city, such as Place Bellecour (the largest pedestrian square in Europe), the historic district of Antiquaille, the roman theatre of Fourvière and the central Place Des Terreaux, above which the iGuzzini showroom sits. Throughout the festival the showroom was open for the community of lighting designers, architects and designers to take in the stunning view of the light show “Enoha fait son cinéma” by the notable French artist Nathanaëlle Picot. The Festival of Lights was first held in 1852. In that year the people of Lyon lit candles in their windows to celebrate the inauguration of the Virgin Mary statue in the Saint-Jean Cathedral. The origins of the festival, however, go back to 1643 when Lyon was struck by the plague and the municipal councillors promised to pay tribute to Mary if the town was spared. Since 1852 the Festival has been celebrated every year becoming one of the most important European events. Famous light artists, lighting designers, architects, young talents, video makers and graphic designers attract 2 million curious visitors every year. Different kinds of shows animate the whole city, starting with video mapping, a projection technology used to turn objects into a display surface for video projection allowing for creative artistic effects and optical illusions. iGuzzini collaborated with the artist Bibi in the realisation of “L’Enfer de Bibi C’est Ici”, a light installation centred on recycled plastic, the material on which the artist has based all his artistic productions since 1991. iGuzzini’s showroom also exhibited the work of Simon Deschamps, French lighting designer and winner of the “Underscore InOut” contest launched by iGuzzini last march. 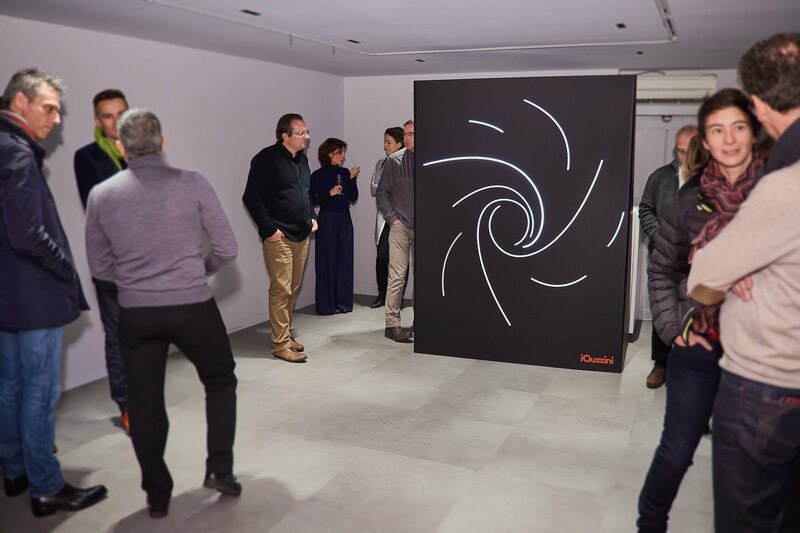 His installation, titled “L’oeil Du Cyclone”, was first presented at the Honouring Creativity event in iGuzzini’s Paris showroom during PLDC in November. The concept used the flexibility and adaptability of Underscore InOut to create a unique piece of art.